Dogs must be kept on a lead at all times and under the control of their handlers. Extendable leads are NOT permitted, you may swap yours at the Gatehouse for a non-extendable lead, and collect it as you leave. To protect our plant collections, please keep your dog on the designated paths and walkways or grassy areas. Dogs are not permitted to walk onto planting beds or borders. Please be a responsible dog owner, clean up after your pet. Bag it and bin it. Do not leave dogs unattended at any time. Aggressive dogs are not permitted in the Garden. 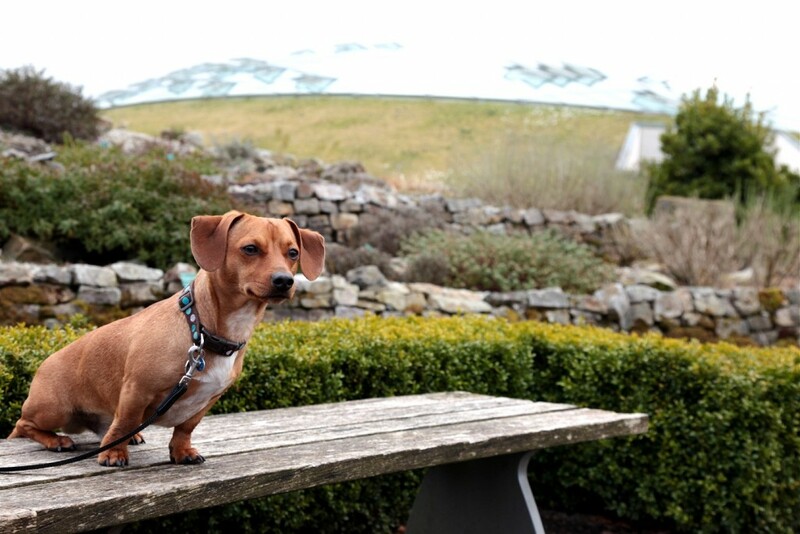 The National Botanic Garden of Wales reserves the right to refuse entry to, or remove, any dog thought to be dangerous to visitors or other dogs. Dogs are not permitted to enter the Butterfly House, nor the children’s play area. Dogs are permitted in Y Pot Blodyn’s coffee shop, the Seasons Restaurant, the Gift Shop and the main concourse of the Great Glasshouse. Dogs are not permitted on the Great Glasshouse’s inner paths. Dogs in heat are prohibited from entering the Garden. Most importantly, we ask that you use good judgement on all matters concerning your dog. This will ensure an enjoyable and safe visit for you and your pet.